So I've already told you about how my husband's love for the New York Giants rubbed off on me and I am now drinking the blue kool-aid. Even when it's not football season, our TV is on SportsCenter all.the.time. I can tune it out most of the time, but I have learned that ESPN can provide more entertainment than I ever thought possible. The Faux-Drama: when big sports stories break, they send their poor reporters to camp outside an athlete's house for days searching for non-news. Looking at these poor people who are used to sitting behind a desk with a script struggling to find something new to say leaves me in awe. Like when Aaron Hernandez was still a suspect in murders and no news was coming out? These guys made every segment look like a breaking story. Via. What were y'all expecting, him to come out and confess? Mike and Mike in the Morning: One is a journalist, the other a former football player, and they run ESPN's morning radio show, which is also televised. They have ridiculous bets every year during March Madness in which the loser has to do something humiliating (this year they had to learn and perform a Dancing with the Stars routine) so even if you don't know who they are, they are highly entertaining. 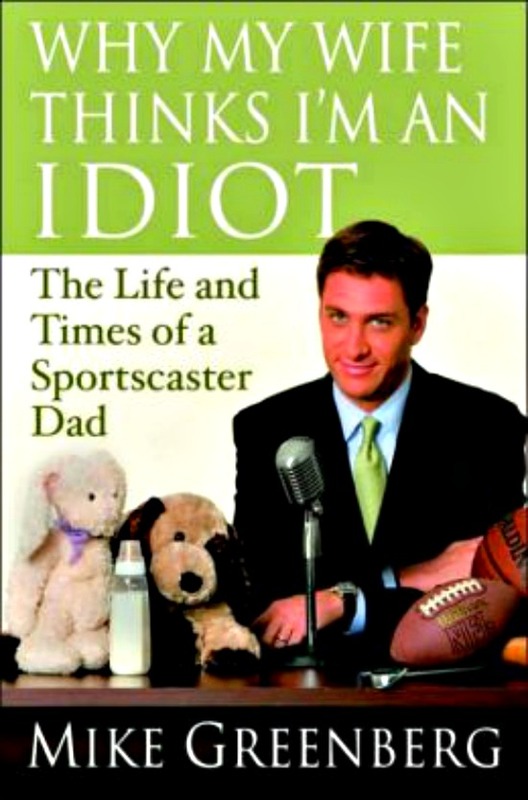 Andrew and I both read Mike Greenberg's first book, Why My Wife Thinks I'm an Idiot (ladies, if your significant other is a sports fan and you don't get him, it's worth a read. I really liked it!) and his second book is a novel about a woman with cancer and all profits are going to cancer research. Just hearing all of that, don't you want to like these guys already? Heart-tugging stories: OMG ESPN, I completely cannot stand Rascal Flatts' "My Wish" but when I hear it on your network, I know I am going to see a burly athlete playing catch with a sweet child with cancer and the waterworks start flowing. And then they get autographs and tickets to the game and to go in the locker room too? It is always so precious. And Outside the Lines - the recent episode about the wrestlers where one had no legs and his legally blind teammate carried him and you followed up with them? Amazing. And don't even get me started on the July 4th Soldiers Coming Home Tribute which had me bawling like a baby. I can't even... ESPN brings me to tears regularly with some really great stories. SportsCenter Commercials: They are often hilarious and if you don't watch ESPN, you don't see them. They are laugh out loud, rewind the DVR funny. This old one with the Manning brothers is a favorite of mine. The Jimmy V Speech: ESPN works closely with the Jimmy V Foundation which was named for former NC State Basketball coach Jim Valvano, who died of cancer. After his diagnosis but before his passing, he was awarded an ESPY and his speech was completely amazing. There is always a Jimmy V week on ESPN where they replay the speech multiple times and it is so, so good, not just from a humanity standpoint (the man was dying! He doesn't care that his speech is running long, he has a message to leave!) 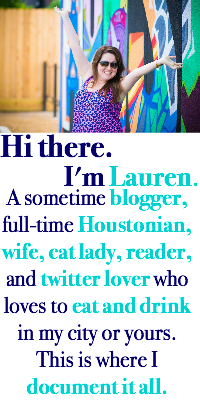 and from a speechwriting standpoint (hi, I'm Lauren and sometimes I'm still a communication nerd). Watch it. Again, with tissues. But hey, the main point of his speech was to take time every day to laugh, to think, and to cry. I am just really helping you out with the crying part today. See? If you thought ESPN was all stats and analysis, it definitely is sometimes, but it can be so much more. I love the humanity that it brings to athletes, especially famous ones. For a network whose audience is more male than female, they definitely know how to get you feeling emotional. Do you watch ESPN? Do you like this stuff as much as I do? We usually only turn on ESPN for a baseball game... then when it's over we turn it off. I had no idea they had so much more. Mike and Mike is my go-to drive to work radio station! I love love love them and their humor. 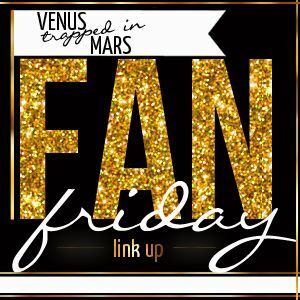 Plus, I love it when they geek out over certain athletes because they are fans too and not afraid to admit it. Also, ESPN = the best commercials EVER!!! Is it sad that I never watch ESPN? I mean, we watch it in the fall for football games, but that's really about it. Maybe we should tune in more! I've probably watched ESPN twice in my life. It's really bad - I think having a general knowledge about sports is important just for the sake of being able to make small talk with strangers. I've embarassed myself countless times confusing football teams with hockey teams, etc. Jerry Maguire is my favorite movie though, and Friday Night Lights was my favorite show, so that must count for something, right? Maybe?? So I got pretty into the ESPN 30 for 30 series and named my 30 before 30 list after it. Turns out I like all documentaries, even ones about old and crusty athletes! Mike & Mike are pretty funny, and the commercials are GOLD. So. hilarious. Now dare your husband to write something up about a channel you always watch, I'm confident Bryan could do one on Bravo! This is a GREAT post! We have ESPN on a lot. The Sports Center commercials are so funny, and I feel like I can't start my day without a little Mike & Mike. I've read Greeny's novel and it's really good (and tear-inducing). ESPN seriously has the best documentaries! And I like their 30 for 30 series. But you're right, nothing beats the commercials! I had no idea about ALL OF THIS! Teach me your ways!!! Hahaha Rowdy and I would have a lot more to discuss during football season if I was in the know! you mean I have to write in this thing? cheers for my three-day weekend! is it time to recap the weekend already?